Discover 1,000 more fun, fascinating, and funny quiz questions in the latest book in this popular series, with all-new content and photos. 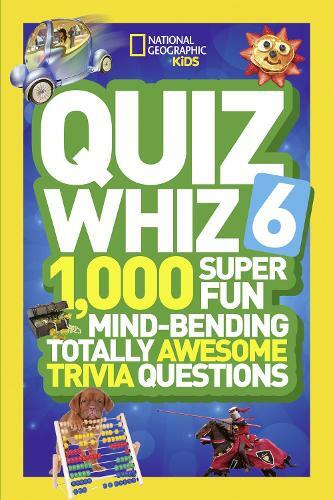 Packed with fantastic photos and a dynamic design, kids will have a blast quizzing themselves, friends, and their families on tons of fun trivia! This compact book is just the right size to pass the time on family road trips or to take to camp and quiz fellow campers.